What do I LOVE A PIANO, FOOTLOOSE and ALTAR BOYZ have in common? All three shows have just wound up the latest legs of national tours that have left thousand of happy audience in their wakes. 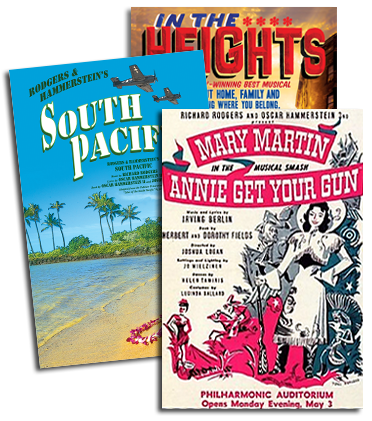 Following two successful years of touring I LOVE A PIANO – a cavalcade of Irving Berlin hits – is looking forward to a third year on the road in the 2009 – 2010 touring season. There’s no end to the audiences who thirst for the tuneful tunes and lyrical lyrics which deliver that special mix of wit, heart, and happy-to-be-an-American spirit only Irving Berlin can deliver. With a song list that includes “What’ll I Do?,” “Oh, How I Hate To Get Up In The Morning,” “Always,” “Easter Parade,” “Alexander’s Ragtime Band,” “Cheek to Cheek,” “Puttin’ On The Ritz,” and “God Bless America” – no one can resist this show by the master of American song. To see if the I LOVE A PIANO tour is heading to your town, keep checking www.iloveapianothemusical.com for updates. To learn more about I LOVE A PIANO, click here. FOOTLOOSE has just completed a great season of successful tour engagements including triumphs in cities such as New Haven, CT; Toledo, OH; Savannah, GA; Fort Lauderdale, FL; Baton Rouge, LA; El Paso, TX; Santa Fe, NM; and Santa Barbara, CA. 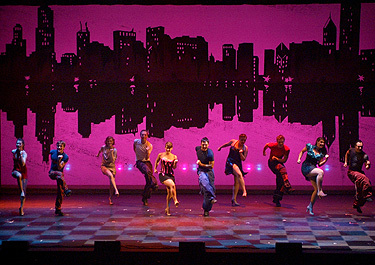 Ten years after its Broadway debut FOOTLOOSE continues to be produced by theaters of every size and description and in every part of the country. To celebrate this milestone anniversary, a new touring company was launched last year and is winding up at the end of May. The incredible pop/rock score which features such standards as “The Girl Gets Around,” “Holding Out For A Hero,” “Let’s Hear It For The Boy,” the achingly beautiful “Almost Paradise,” and the hit title song still brings audiences to their feet at every performance. To listen to audio clips of FOOTLOOSE, click here. Full of sharp parody, sinfully spectacular dancing, and irreverent humor, this spoof about a heavenly guy-group is adored by audiences and critics alike. With an extraordinary mix of side-splitting songs convincing enough to be played on MTV, uncontrollable laughs and lighthearted fun, the award-winning and totally original new musical is 90 minutes of pure delight that's suitable for all ages and will have the whole family laughing and singing along. Hailed as "high-octane entertainment" (Talkin' Broadway), ALTAR BOYZ tells the holy inspiring story of 5 small-town boys - Matthew, Mark, Luke, Juan and Abraham - trying to save the world one screaming fan at a time. Their pious pop act, including lyrics like "Girl You Make Me Wanna Wait" and "Jesus Called Me On My Cell Phone," worked wonders on the Ohio bingo-hall-and-pancake-breakfast circuit. But when fate brings them to a town near you, will the boyz’ prayers be answered? With angelic voices, sinfully spectacular dancing and a touching story, ALTAR BOYZ has rocked the masses of all denominations! Visit www.altarboyz.com for more information about the show.